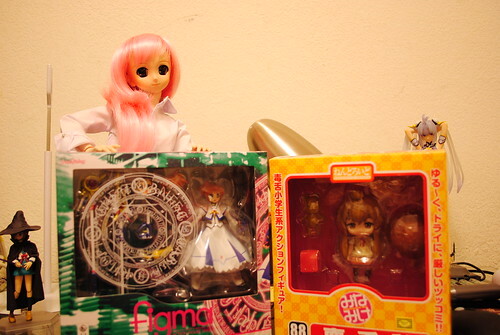 Today I got the last part of my January loot in the form of a big suspicious box. With Nanoha as my assistant lets see what I got. The main reason why this box is huge. Alter finally released Nahona Exceed Mode after months of delays. I'm quite happy I got my hands on her today. I bought a new DSLR with the sole purpose of doing a photo shoot for this figure. One thing that bothers me, no way Nanoha is a 1/7th scale, after all she is bigger than my 1/6th swimsuit Kos-Mos by Alter. 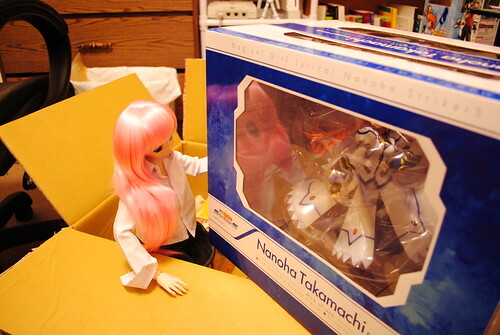 Moving on, also on this box were movie version Nanoha, being such a lolicon XD! I prefer this one over the previous Nanoha figma. Hopefully this one wont have problems like with the hair piece of the original. 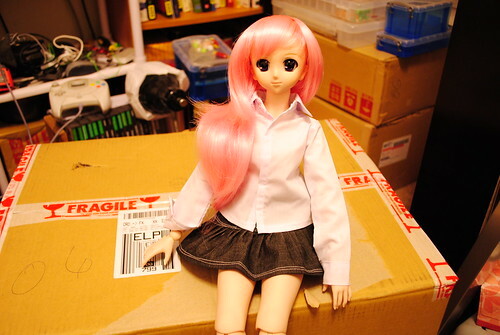 Also received Chiaki-sama from Minami-ke, she was going to be my first nendo but her delay gave that honor to Yui from K-On!. If you haven't watched Minami-ke I suggest picking up all three seasons. The final part of my lot are these two games. People complain about the lack of good games on the Wii, well here are two excellent choices to remedy that problem. 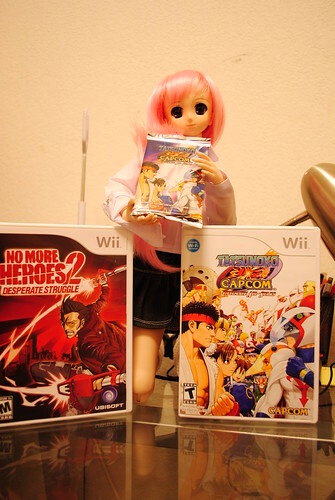 The first is a follow up the No More Heroes, No More Heroes 2 Desperate Struggle. This game has more bosses, more playable characters, more weapons, more moves. It's a great improvement over the first. If you own a Wii I implore to you to buy both copies. The second game is the amazing Tatsunoko vs Capcom Ultimate All Stars. If you liked any of the previous "vs" games such as Marverl vs Capcom 2, Capcom vs X-Men or Capcom vs SNK you will like this one. If you like fighting games you will like it too. If you like games you probably will like it as well. Bringing stars form all over the Tatsunoko shows and Capcom games this is an excellent easy to pick up game. Even if you got no one to play with this game has a quite capable online multiplayer option over Nintendo's Wi-Fi. After this part of my loot, my first part, and my unplanned purchase I must say my wallet, or bank account more accurately is weeping over the expense of these purchases. At least there is few things I might want to pick next month if any. After all must prepare for March so many games. FF13, Monster Hunter 3, Pokemon Silver, Yakuza 3, Resonance of Fate, and Fragile all come in March and my last pre-ordered figure Alter's Hirasawa Yui.